This has been a turbulent week for the Fast & Furious franchise, despite their being some pretty good news mixed in there. It began when Fast 9 was delayed a year to April 10th 2020, in order to make room for Dwayne Johnson and Jason Statham's spinoff, arriving in July 2019. Not everybody was happy about it, though, and Tyrese Gibson, who has played the mouthy Roman Pearce since 2 Fast 2 Furious, has been vocal on social media about his displeasure. Diesel's not an idiot. He knows that Johnson has been good for the franchise, and if his spinoff is a success it will mean bigger things for everyone. As for Johnson, he chimed in yesterday and kept his comments pretty chill. I'd like to think whatever been there was between Johnson and Diesel has been squashed. 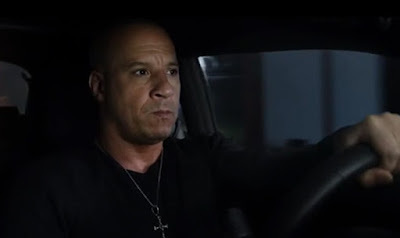 They're too much fun together to let anything else get in the way, and personally I found The Fate of the Furious to be a little less enjoyable without them sharing the screen.